“While I am not immune to the charms of small town America and the thrill of the unfettered wilds found in our neck of the woods, there is just something about Europe that fills us up,” says Jessica LeFroy, currently sitting at her kitchen table, drinking coffee, in her home in Squamish, British Columbia. 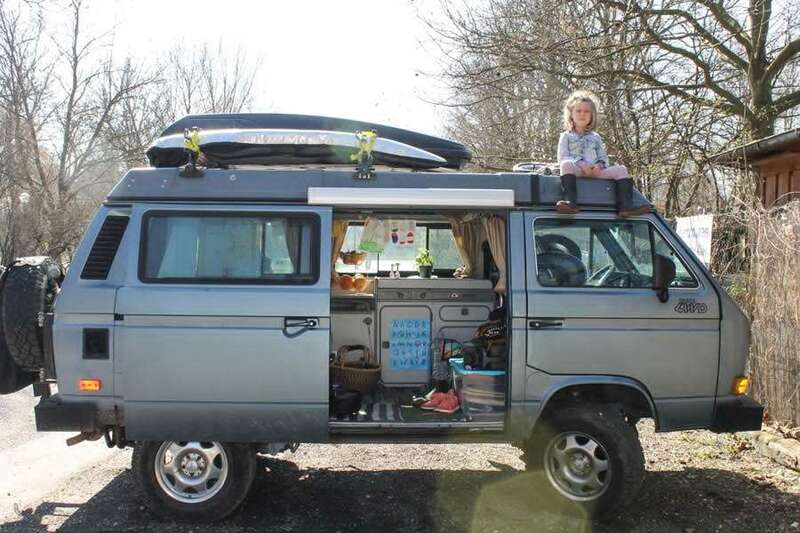 Jessica, her husband Robbie, and their four year old daughter Henley, spent the better part of a year traveling around Europe in their 1987 VW Syncro Westie. 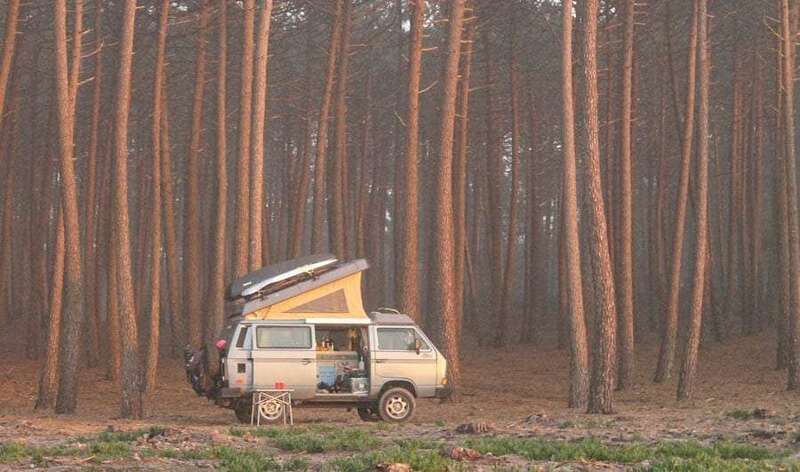 That’s code for a Volkswagen Vanagon with 4WD and a camper conversion, for those not in the know about these truly rare and–frankly–wicked machines. While they’re “landlocked” now, so to speak, she’s constantly dreaming up their next big adventure, and happy to reminisce on their time spent country hopping around the Old World’s take on Western Civilization. Europe checked all the boxes! “The history,” she recalls her favorite parts of Europe, “the cobblestones, the accordion music, the food, the bakeries and an entire continent’s willingness to subsist primarily on a diet of bread, cheese and wine. Jessica and Robbie weren’t strangers to Europe, having traveled the continent in their younger years, and Jessica’s grandparents are from France and Germany. “I still have family overseas,” she adds. So exploring the continent wouldn’t exactly be new to them, though doing so with their daughter and in a thirty year old van was going to be a new twist. They also weren’t strangers to old vans, either. Before their Syncro fell into their laps, Jessica had her eyes on a 1978 Bay Window Volkswagen Bus, with a Riviera conversion. Which basically means it was ten years older than the one they have now, and the campervan conversion was done up by a company that used to work out of Oregon. I want a workhorse, not a show pony. Indeed, those old hippie vans have a certain allure that allows one to see past the rust and dings, the underpowered engines and failing mechanisms. They’re sirens of the van world, and few can resist their call. They tore out the dated Riviera’s guts and Robbie built it to suit their own needs. It took them a winter’s worth of time to complete the work. Come spring, they were eager to take their Bus for a spin. 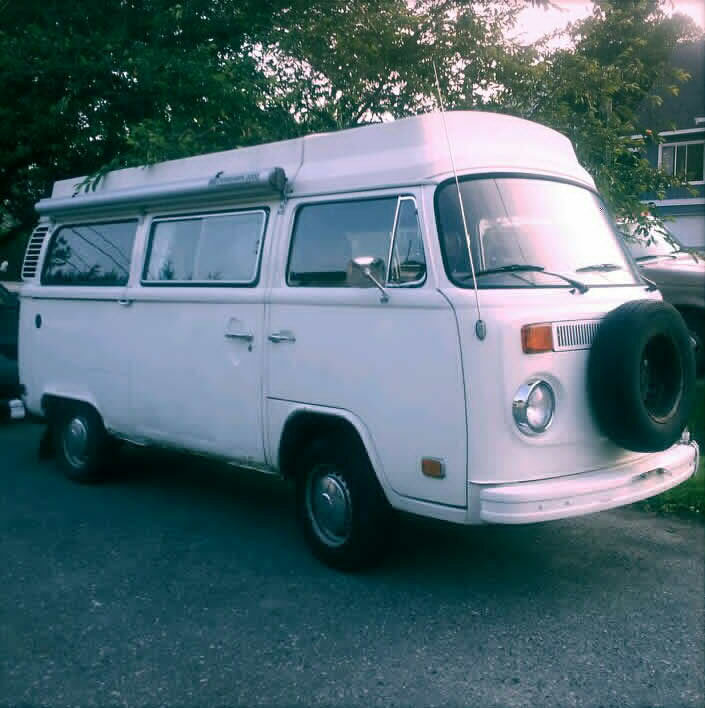 The family’s former 1978 VW Bus. “I was genuinely shocked when it wouldn’t start,” she recalls, not necessarily with amusement. They’d done everything correctly. Read the right books, did the work, found an experienced owner of a 70s Bus. Still, it wasn’t working out. “I wasn’t cut out for bay window ownership,” she recalls, a tad red in the face. “Literally everything we tried to do made things worse.” They cut their losses, waved goodbye to the hard earned cash they’d dropped into it, and, as she puts it, “changed focus to something a tad more user-friendly and suited to our needs.” Luckily, any emotional attachment she may have hoped to find in that old Bus had dwindled away, and they came out of the experience knowing that vanlife would still be for them, just with a more trusty rig. Thus, Storm entered the picture. 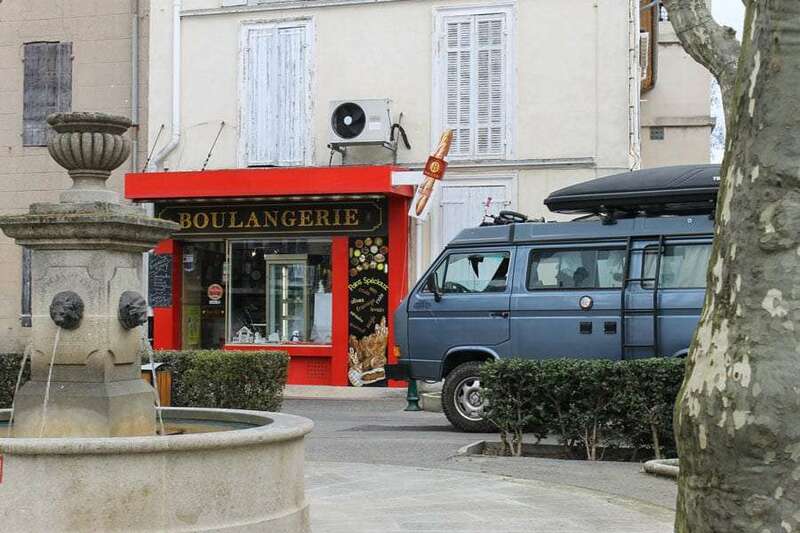 “Mechanically,” she moves on from past failures and towards their current success, “Stormie was in great shape when we purchased her–being owned by a Vanagon enthusiast and mechanic certainly helped!” Not without its own idiosyncracies, the new Vanagon promised adventure where the Bus just leaked oil. Like many a proud Vanagon owner, she considers listing out every modification every made to it, but stops short of actually doing so. The family’s 1987 Vanagon Syncro, Henley adorning it like a tiara. You can tell Jessica loves her van, and everything it’s given them in life thus far. Once they had Stormie, their eyes began to open to an even bigger world of possibilities. “How little you need to be happy.” That’s her answer to the question of what the van explained to them in those first few trips. “A lot of the stuff we concern ourselves with on a day-to-day basis don’t really matter,” she preaches the time-tested slogan of many a vandweller, minimalist or anyone who’s learned that the joy of life can be found more in experiences than anything stuffed into a closet or the back of a garage somewhere. She talks of living slowly, of being present in the moment. 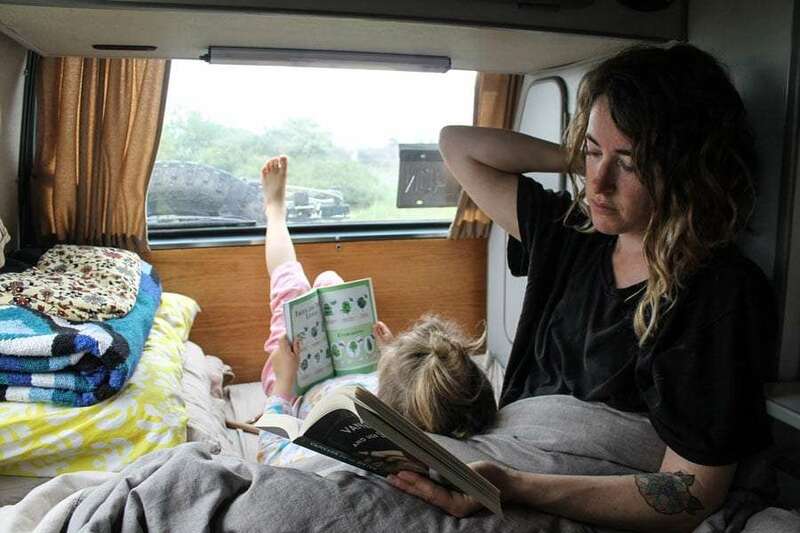 She is wise, and values the lifestyle the van has made possible–even though it’s their own drive and personality who allowed this all to shape. And like nearly every parent watching their young ones grow, she notes, “Kids grow up so quickly,” before sharing some other truths she finds to be self-evident for their own lives. Where to find hot, clean showers and how to relieve yourself for those travelers who have no built-in shower and bathroom. Words to chew on, particularly in the cloud of our modern political attempt at demonizing anything different, foreign. Thus, they made their plan. Garage sales. Small storage unit. Ship the van to Europe. Stormie boarded a ship from Vancouver and made the long journey alone, while the family waited for their beloved home-on-the-road in London. For those interested in the details of such a thing, they used a company by the name of Just World Cargo. 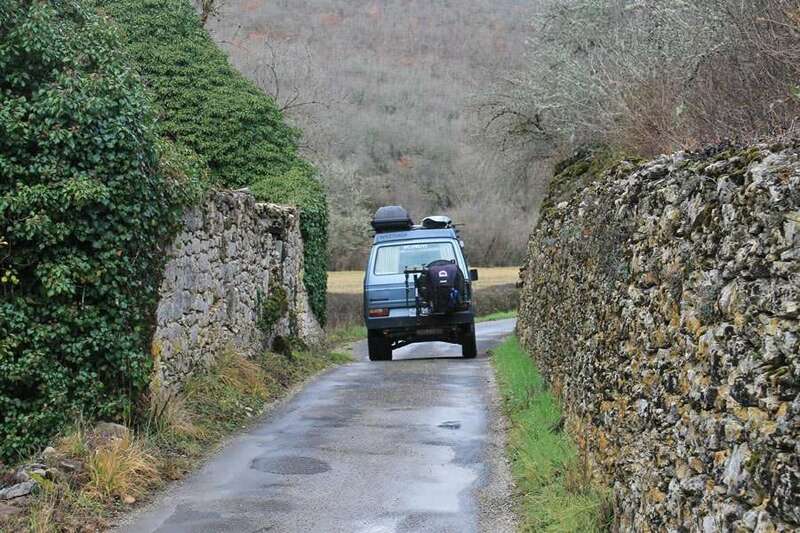 From there, it was six months of their lives touring fifteen European countries, largely during times when most of the tourists weren’t interested. Indeed, traveling in the off season, whether you’re dodging Spring Break in the US or flirting with snow in Northern Europe, is the most authentic time to visit any location. Stormie down a dusty beach road. She talks of frost forming on the outside of Storm in Slovenia, England and Italy. “But,” she admits, “nothing too extreme.” Being Canadians, the rest of us will have to take that with a measure of the old “relativity salt”. While in Europe, they reveled in the natural beauty they could find, in getting lost in it all. “We like the adventure of just getting out there. 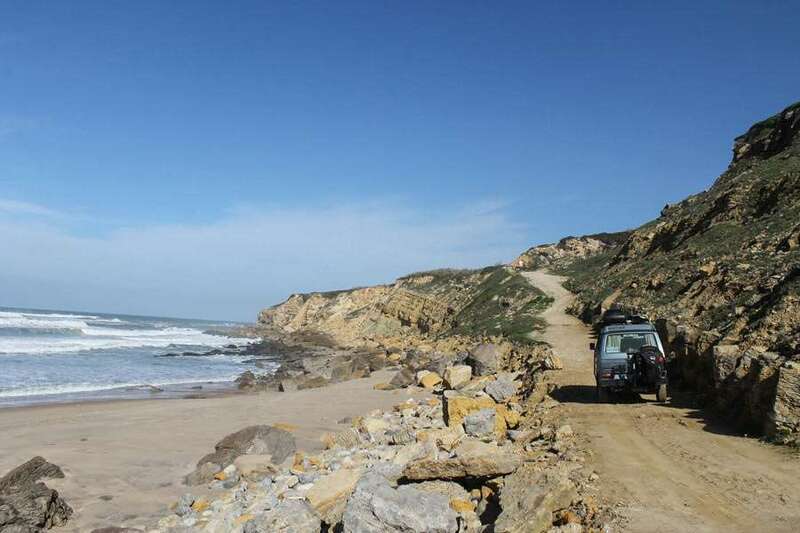 It’s the thrill of finding a beauty of a spot that is free and isolated–it feels like you’ve earned it.” She talks of how they don’t particularly need the amenities that campgrounds provide, and hints that the freedom that comes with stealth camping, or blazing your own trail, is something they cherish in their journeys. 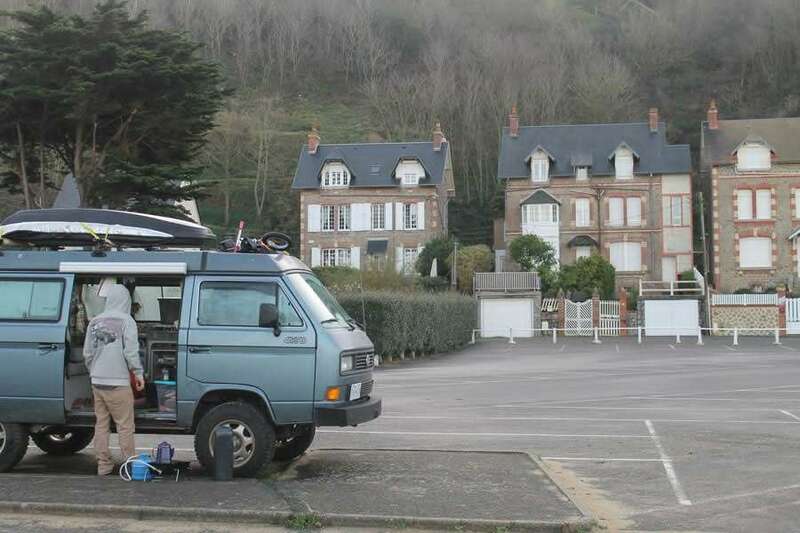 One interesting aspect of traveling Europe is the “Aire” (in France) or “Camperplatz” (Germany). It’s unfortunate that in the US, this type of thinking is largely limited to Walmart parking lots or casinos, but Jessica gives us all something to dream for one day. It wasn’t always Aires and Camperplatz, though. It’s nice to have a safe bet when you need one. In any case, they rarely stayed put in one spot for longer than a night, always excited to see that next ’round the bend. And as their travels went on, so did their taste in campsites evolve. “It took but one baguette delivery truck in France to turn me from a stone cold wild camper to a soft millennial awaiting the telltale honk of the morning’s fresh bread. We were a bit slow to catch on, but then after a few stern talks from the more organized travellers waving detailed books of the Aires in Europe, we downloaded coordinates for our GPS. Our GPS only led us astray once–when it insisted we were able to park in The Hofburg in Vienna,” a.k.a. the Imperial Palace of the Habsburg Dynasty, now home to the President of Austria. Speaking of families, what about Henley’s schooling? Many a traveling parent’s philosophy revolves around this key idea: children learn better when they’re interested, and forcing them into something they’re not ready for is a sure fire way to slow down their natural progression. It’s a cornerstone argument for homeschooling, and certainly roadschooling, and one that’s been proven true countless times. 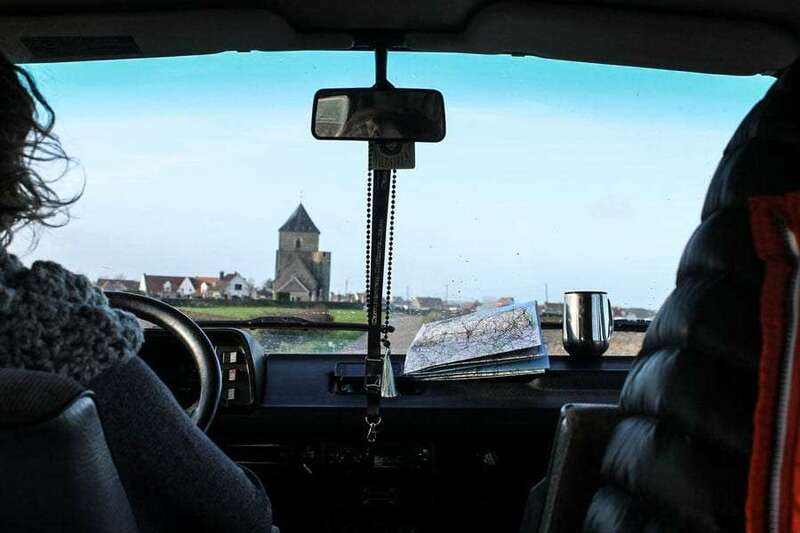 So, what then is a day in the life of a family traveling through Europe in a Vanagon like? Mom and daughter leisure time. “Everyday was some variation of eating, exploring, caffeinating, adventuring, cribbage, UNO, reading, doing nothing and hanging out,” she recalls, “set against the backdrop of jaw-dropping beauty and tons of old stuff.” She then turns the tables and emphasizes another pastime many a vanlifer has discovered. She speaks to finding contentment, something most of us–if we’re being honest–probably can’t say we’ve experienced much of in our years trying to make it in this rat race of a cruel, mean world. 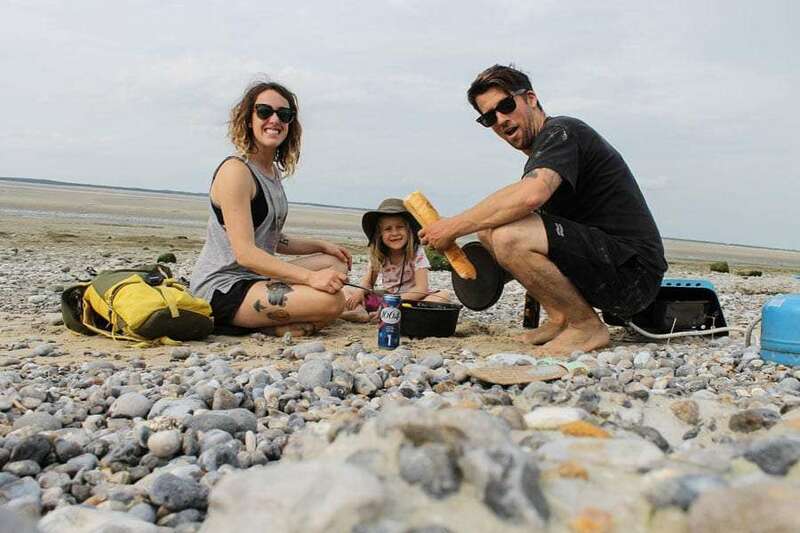 Jessica, Henley and Robbie enjoying a “beachy” picnic. Reluctant to speak of any particular places as their favorite, she finally betrays that “twist my arm, France is unmatched in my eyes. Six months of experience sounds a little hard to whittle down into a concise list. So, what about the details? How do visas work? Where did they get their income from? The bigger hurdles some people feel, aside from just having the guts to make such a trek. “Yes, it was the only really significant planning that we did for the entire trip as the van and our bodies were governed by a different set of restrictions,” Jessica speaks to the Schengen Zone, a political boundary that limits Canadians, and Americans, to ninety consecutive days within its border (which consists of most of the EU). 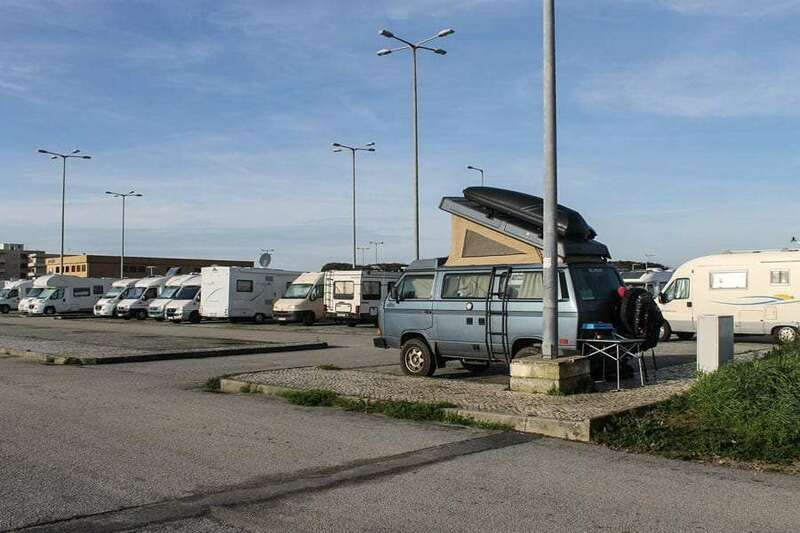 Their van was given six months in the EU proper, and they only 90 days in the two dozen or so countries that make up the Schengen Zone, every six months. The route. 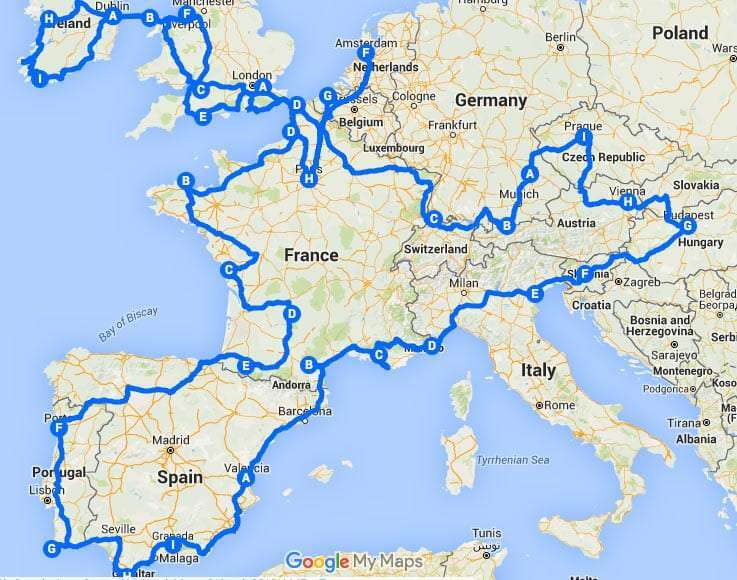 15 countries, 6 months, a family of 3 and a Vanagon. “Some countries are within the EU but outside of the Schengen, and vise versa,” she explains. “This just meant that we had to tailor our route to allow for three months outside of the Schengen Zone after our 90 days had expired.” They chose Ireland and England, which don’t fall within the boundaries. Three years to pay off their debt, and still able to return to their home when the trip came to an end. Both Jessica and Robbie speak French, “fluently,” she tells, “albeit with a terrible accent, but lord knows with a glass or two of wine we make up for any grammatical shortcomings with enthusiasm and wild hand gesticulations. The experience pushed them toward Henley understanding another language. 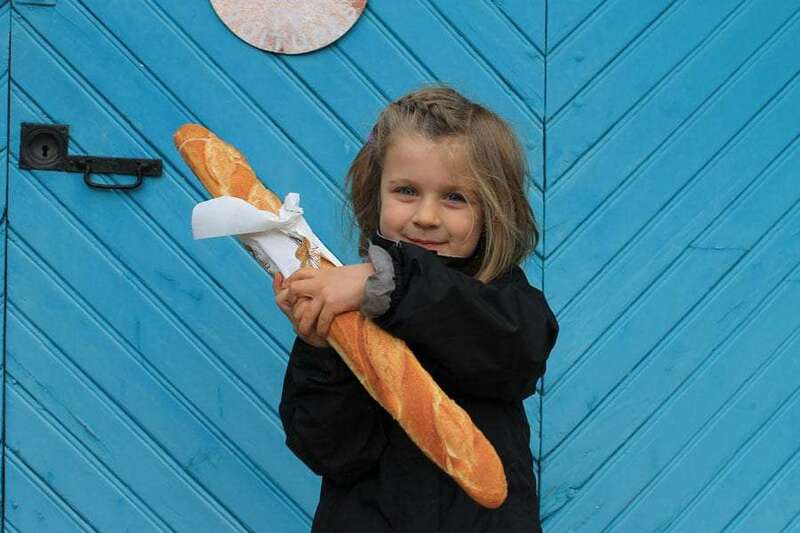 Now that they’re back, she’s been enrolled in a French immersion kindergarten. 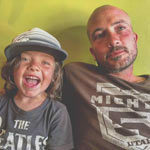 How exactly then does one transition from six free-living months on the road, spending every moment of each day together as a family in the throes of adventure, back to the stick and bricks routine of living in one location? The travel bug bites hard, and for some, it’s an infection. For now, the moment is in British Columbia, and there are certainly less desirable places to live in the now. Next time, they plan to make the trip longer. Take more time in the places they enjoy, less money on gas and more on experiencing the slow traveling side of things. 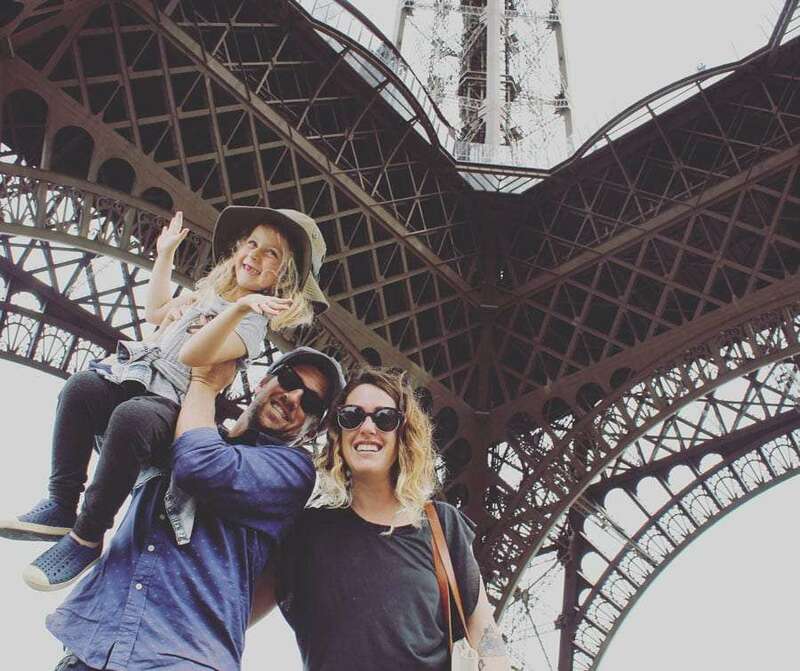 Want to follow along with the LeFroy family as they adventure around the Pacific Northwest and dream up their next big trip? Check them out on Instagram at @heretodayvanagontomorrow!